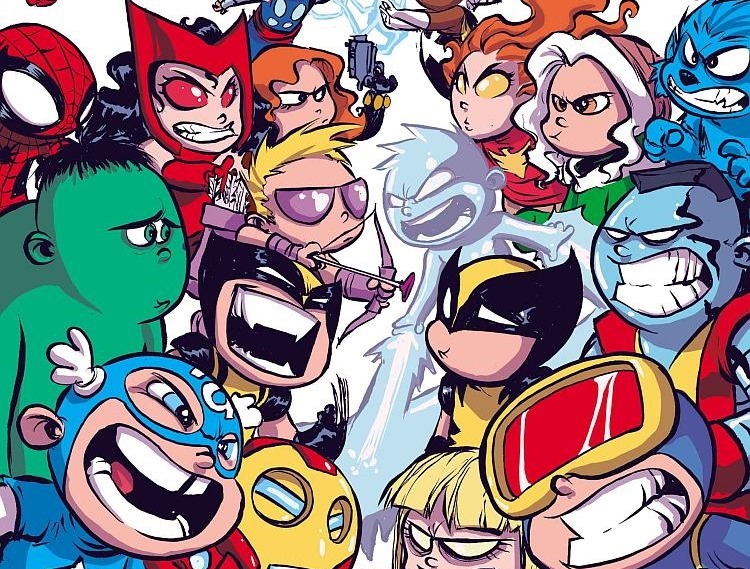 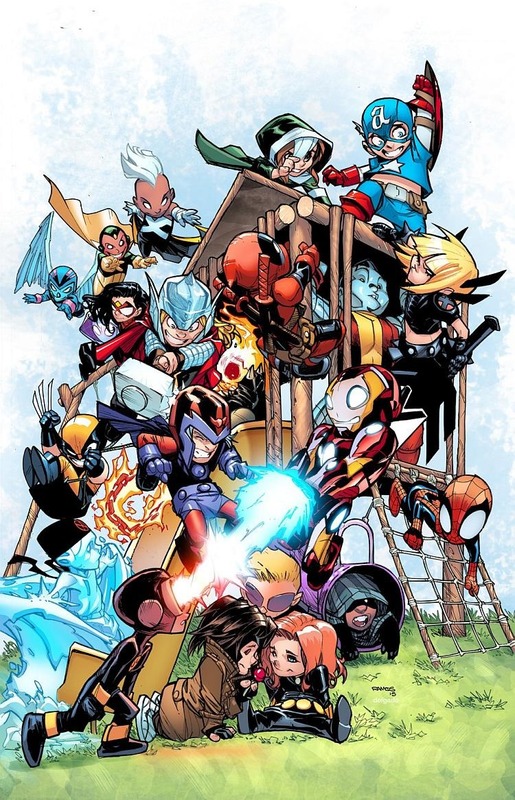 Skottie Young Pits Avengers Against X-Men in the WARZONES! 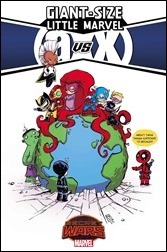 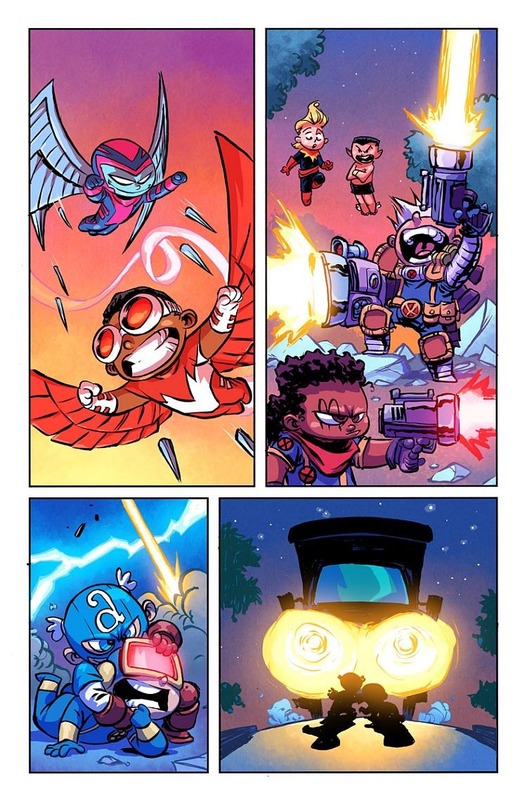 Here’s a short preview of Giant-Size Little-Marvel: AVX #1, a Secret Wars series by writer/artist Skottie Young, on sale June 3rd, 2015 from Marvel Comics. 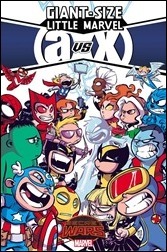 You thought Avengers vs. X-Men was big? 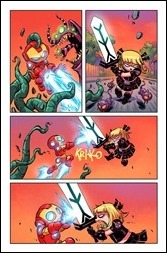 Well you ain’t seen nothing! 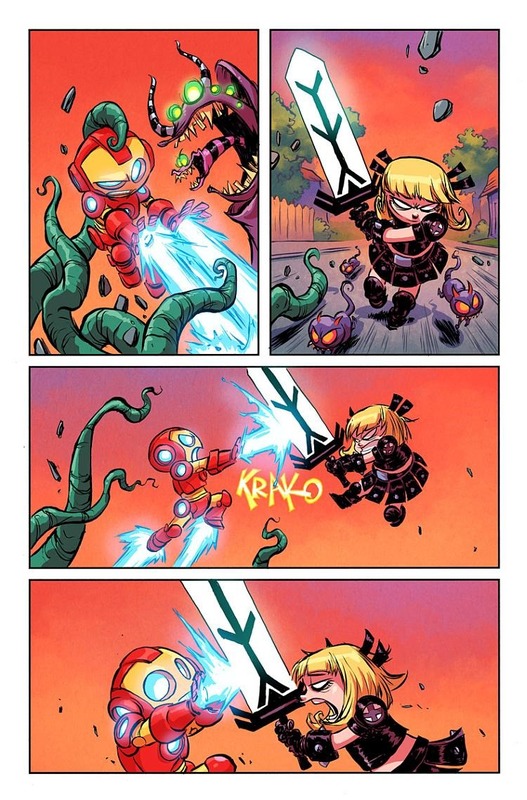 This June, superstar writer/artist and 2015 Eisner Award nominee Skottie Young (Rocket Raccoon) brings his inimitable style to Battleworld with GIANT-SIZE LITTLE MARVEL: AVX #1! 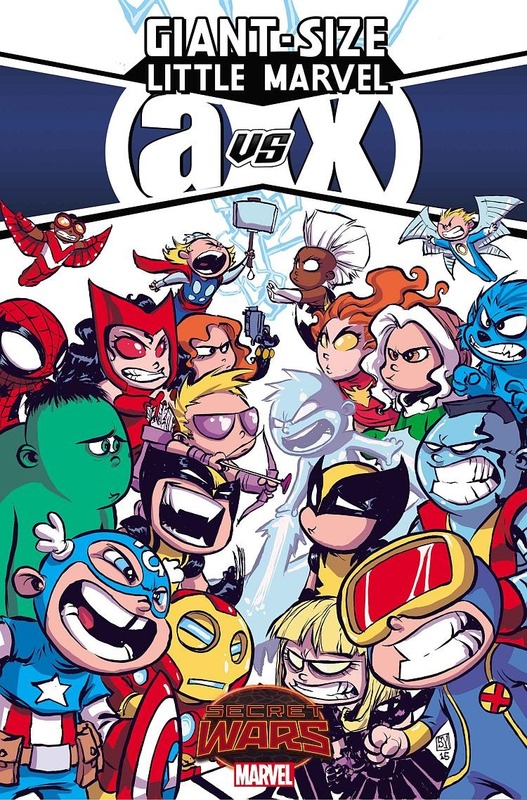 Big action and tiny heroes collide as an all-out war breaks out between the two biggest factions in the Marvel Universe! 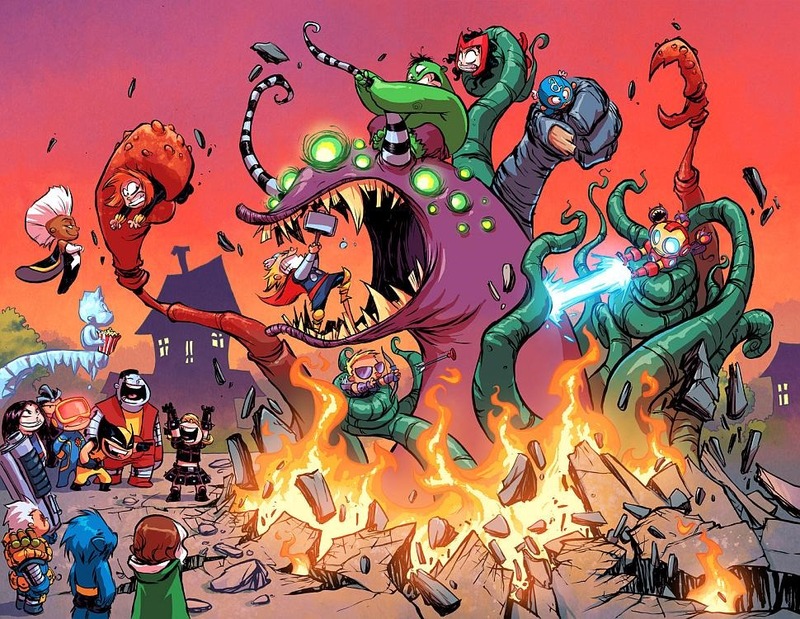 The toughest, craziest and most popular Marvel heroes are going to THROW DOWN on Battleworld. 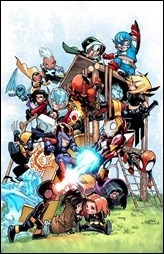 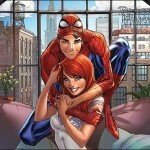 Featuring the likes of Cyclops, Hawkeye, Magik, Black Widow, Wolverine, Captain America and many, many more. They’re all here – just shorter! 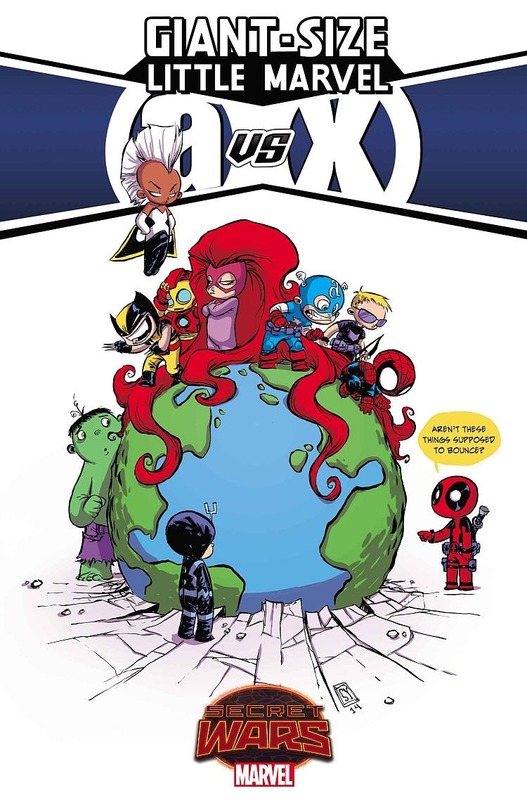 This is the series you’ve been waiting for. Be there this June when Skottie Young brings out the big guns for GIANT-SIZE LITTLE MARVEL: AVX #1!